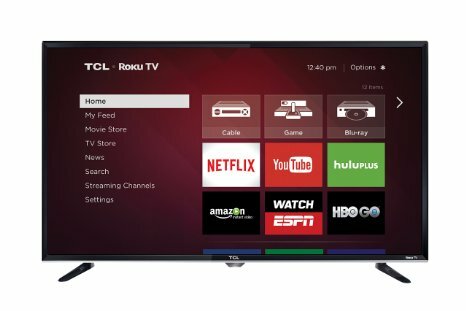 The world's third-largest TV manufacturer, TCL announced its new 55 inch 4K Ultra HD LED Smart TV which is available in the Indian market in exclusive partnership with Amazon.in, the largest online marketplace. The TCL UHD television reproduces stunning details in all shades of light for a truly immersive viewing experience, via 3840x2160 pixels. The UHD TV has been designed to fit the big Indian family within the slim frame, and finished with an alloy metal back cover, the design is beautiful both inside and out. The Smart TV functions have been newly designed with rich content to completely suit your lifestyle. 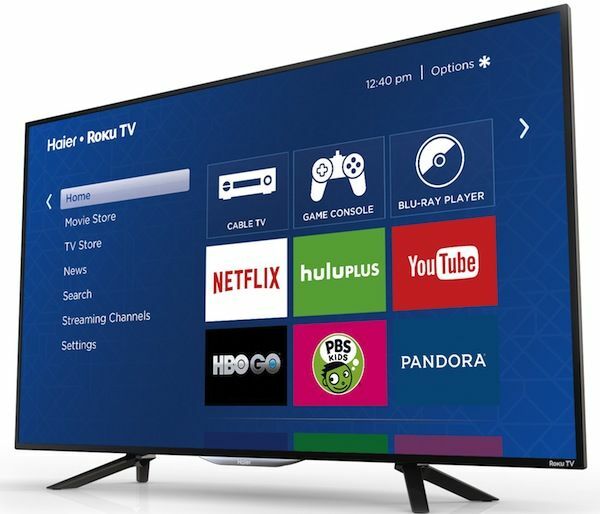 Users can enjoy seamless convergence between their mobile devices and the Smart TV. TCL aims to revolutionize the concept of home entertainment with beautifully designed TVs to meet the changing needs of the consumers, depending on their budget and lifestyle. Announcing the launch of this device in India, Mike Chen, Country Manager, TCL TMT said, “Our new 4K UHD TV represents our singular focus on innovation that matters most to consumers, by providing the very best picture quality for the home. This year we’re going beyond anything we’ve done before to offer a remarkable synergy of design, engineering and craftsmanship. We have received overwhelming responses after launching our UHD and FHD TV series last month. With this launch, we are further augmenting our robust product portfolio in the home entertainment segment." Users can discover a world of applications with the App store powered by the Android OS enabling interaction between various devices. Users can watch the latest YouTube videos and treat themselves to a world of cinema with GoLive, exclusively available on TCL TVs. The TCL nScreen application helps user’s smartphone or tablet as a remote control. The Dolby Digital Plus and DDAS delivers an immersive and integrated surround sound which optimizes the sound quality. The TV is packed with features such as the integrated Bluetooth solution for audio, 2 USB with 3 HDMI ports for easy connectivity. Never worry about missing your favorite show again with the PVR Record and Playback which records the program to the USB. It’s time for a new era in visual experience. It’s time for the creative life. Prepare yourself for an experience like no other. Packed with features like the Motion Estimation and Motion Compensation or MEMC, and sports mode, The TCL Smart TV provides for an optimized and enhanced viewing experience. The Dolby 5.1 surround sound guarantees high quality audio output with the Dolby digital technology and smart volume, which eliminates unwanted spikes in audio. Users can discover a world of applications with the App store which provides a range of applications from video-on-demand, to social, gaming, and music. The TCL Smart TV is one built for envy. 4K Ultra HD - See everything in greater clarity with 4 times the amount of pixels than Full HD TVs. TCL’s UHD televisions deliver stunning details and an ultra-sharp picture quality for a truly immersive viewing experience. Enjoy breathtaking Ultra HD picture quality, with more than eight million pixels for enhanced clarity and detail, as well as the proprietary TCL Creative Pro 4K UHD Upscaling Engine, which allows consumers to view any HD content in near 4K quality. Personalized Home Screen - Personalized home screen gives you easy access to over 3,000 streaming channels*, cable TV, gaming consoles and other devices. No more flipping through inputs or complicated menus - all your favorites are at your fingertips. Dual-band WiFi and Ethernet Port - Get fast and easy access to your favourite content with the dual-band WiFi connection or plug into the Ethernet port. Performance, Design & Quality - Capture every moment with a 1080p full high definition display paired with a 60 Hz refresh rate and dual-band Wi-Fi. You won't miss a thing. The model comes with powerful MS68A-AP processor and it supports AVI / MKV / WMV / MP4 / M4V / FLV video formats. Put more TV into less space - The ultra-thin bezel allows the TV to fit more screen into less space, giving you that big picture experience without having to sacrifice screen or wall space. Framed to fit the creative life, the design is modern and neat, fitted with an alloy metal back cover and overall thickness of 69.6 mm with a 178 degree viewing angle, 4000:1 contrast ratio and 16:9 aspect ratios.